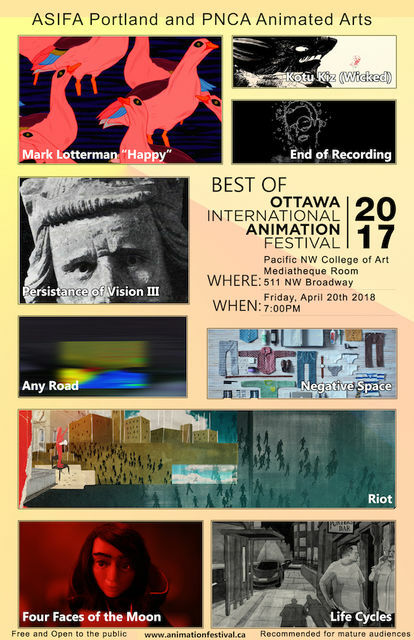 Best of Ottawa International Animation Festival! The Animated Arts Dept. and ASIFA Portland a pleased to present the Best of Ottawa International Animation Festival! FREE for all members of the PNCA community! Join us Friday April 20th at 7pm in the Mediatheque for a fun night of award winning animation!